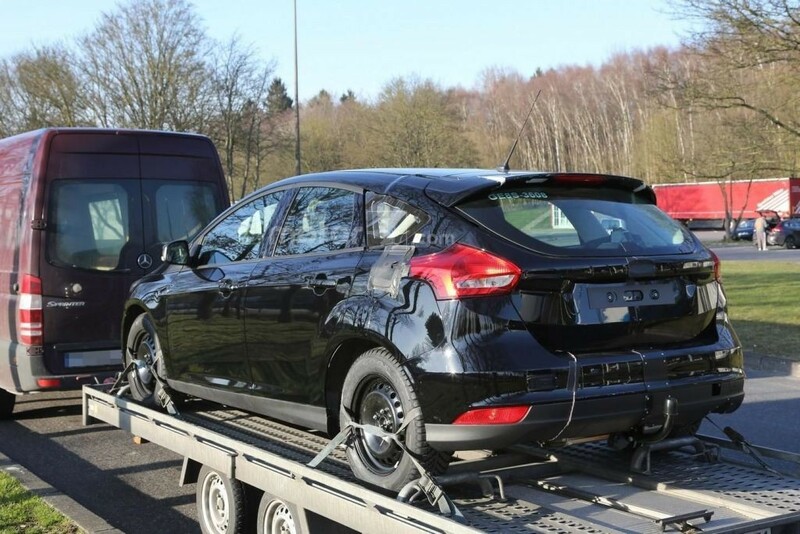 Ook Worldcarfans komt met een huidig ‘gecamoufleerd’ model Ford Focus en net als in het voorgaand bericht is het vermoeden dat de nieuwe generatie langer en breder zal worden. 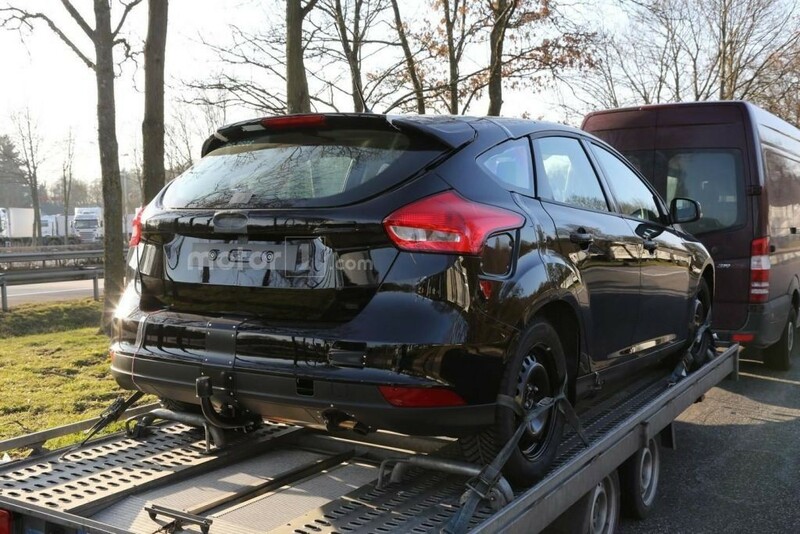 Oordeel zelf na het zien van de volgende beelden. 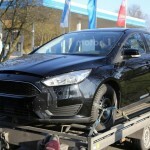 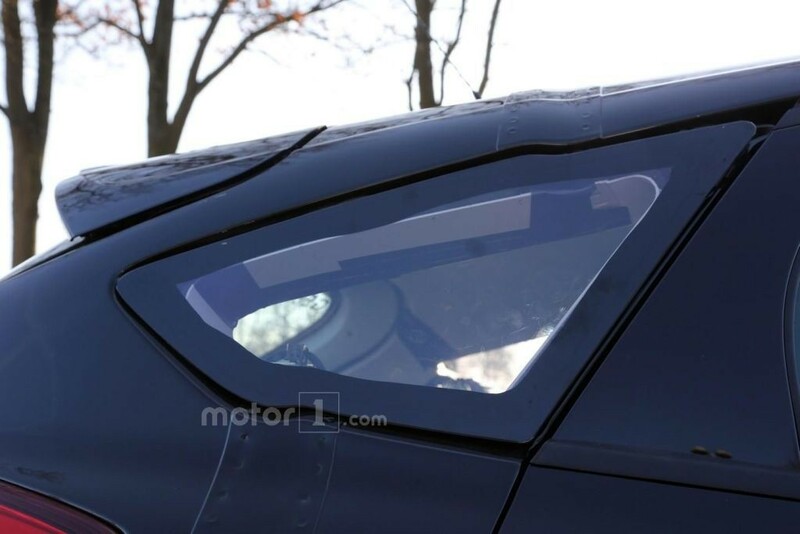 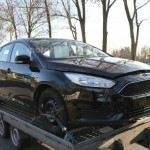 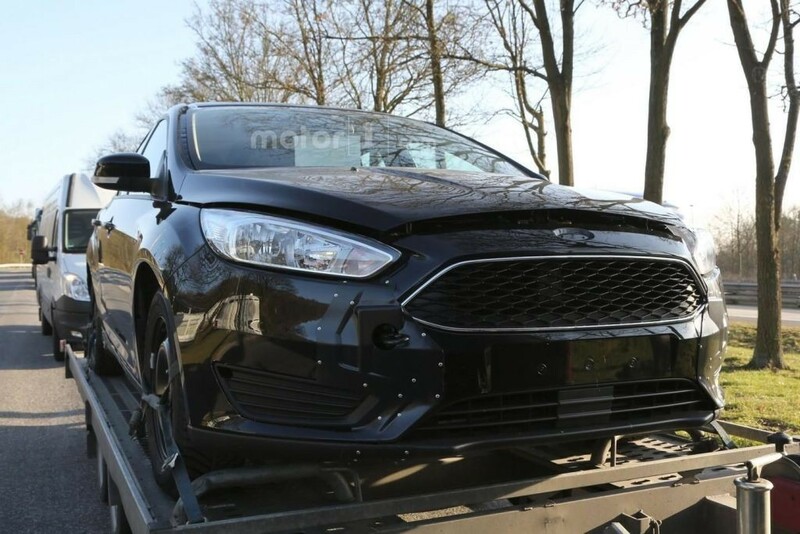 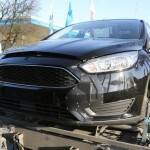 A chassis testing mule of the 2018 Ford Focus has been caught on camera sitting on a trailer. 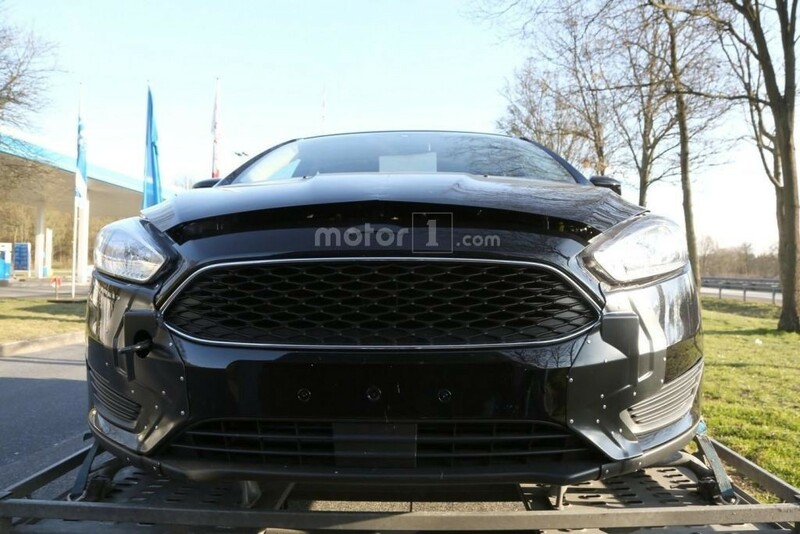 The current trend in the car industry is to make a new generation of a model bigger than its predecessor and it seems Ford is about to do this as well with the next Focus. 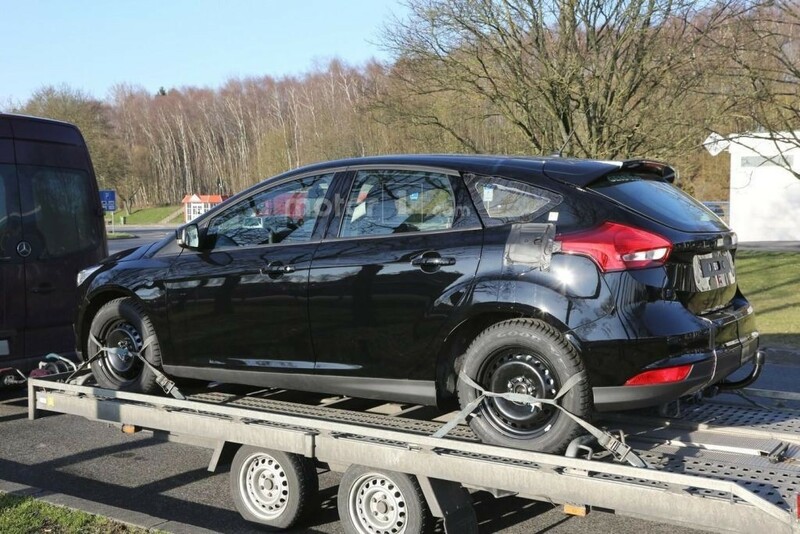 Bigger isn’t necessarily better, but many people will be glad to hear the Blue Oval’s popular hatchback will grow in size as the current one feels a little bit cramped in the back compared to a Skoda Octavia, for example. 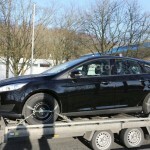 It’s the same story with the trunk which is substantially smaller compared to its Czech rival. 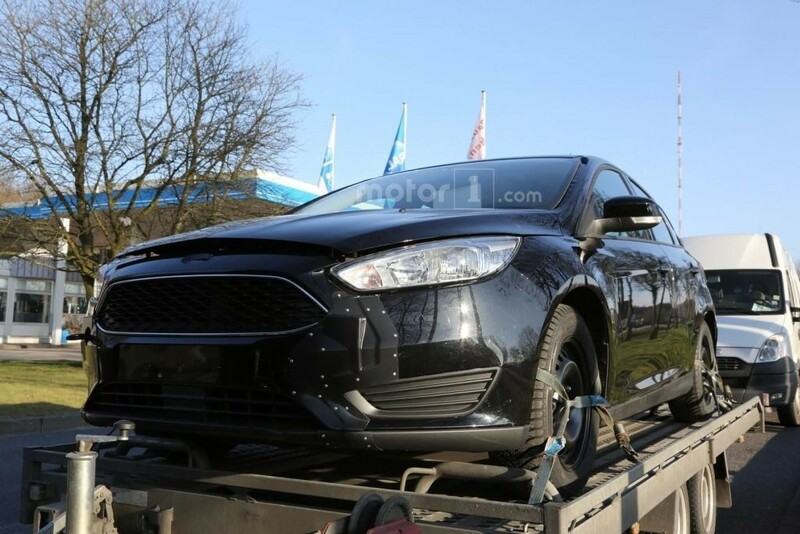 The attached images show the Focus IV will not only be longer, but also wider than the current model which has been on sale since 2010. 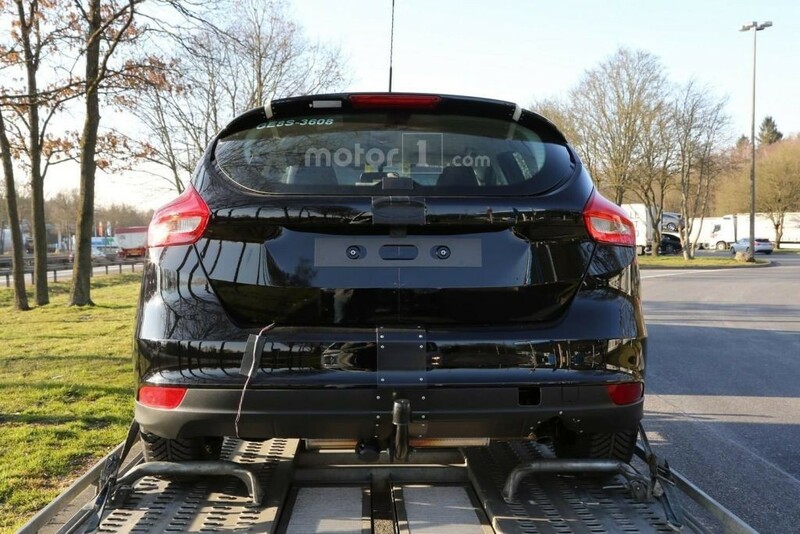 There’s nothing we can say right now about the design as this chassis testing mule is wearing an extended body based on the Focus III. 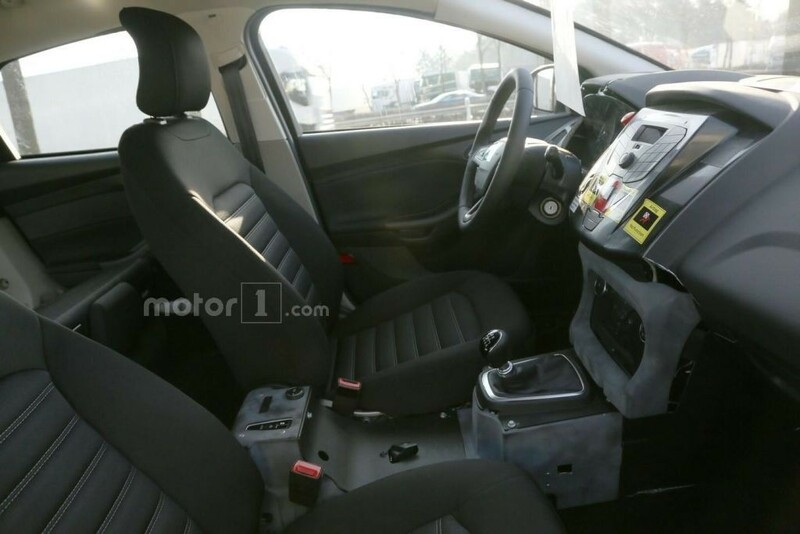 It’s the same thing with the interior cabin which is derived from the current model, but with some testing-related buttons between the front seats, while the sticker on the dashboard says the airbag is deactivated. 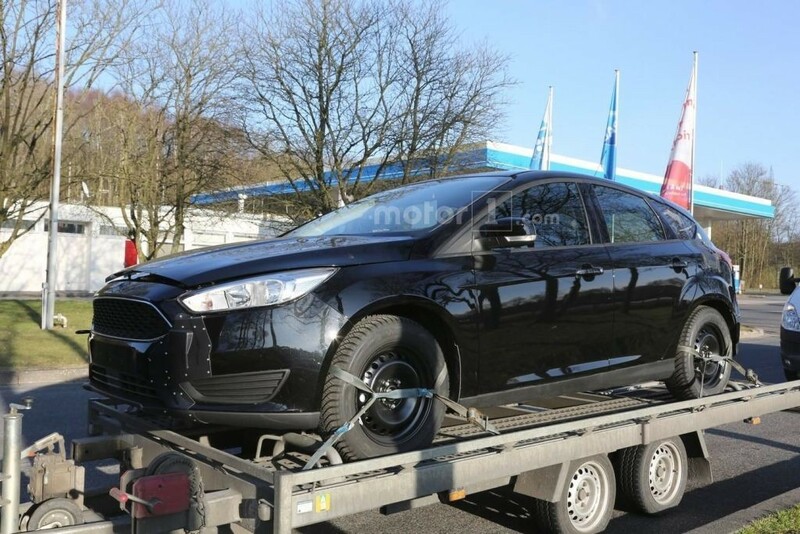 When can we expect the new Focus? 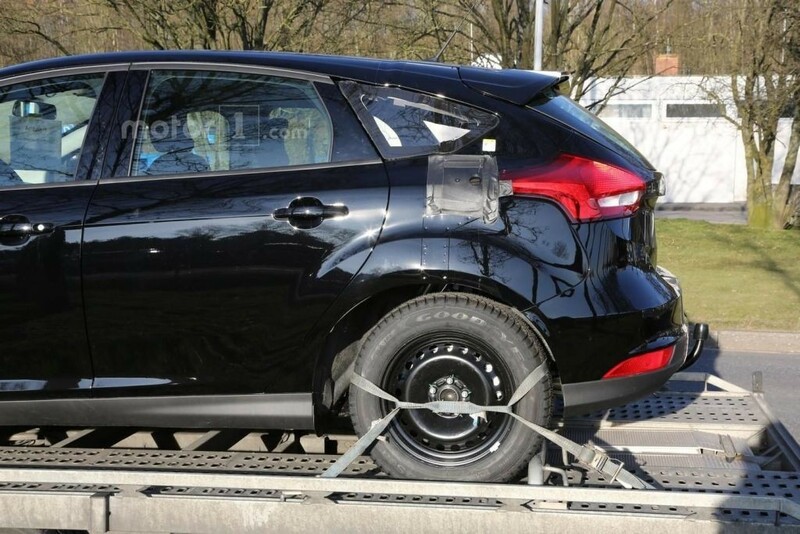 Ford will probably decide to reveal the compact five-door hatchback in the second half of next year before putting it on sale as a 2018MY. 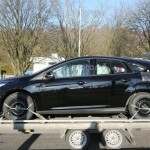 It should be followed shortly by the wagon which is bound to become more practical as a result of the added length and width.